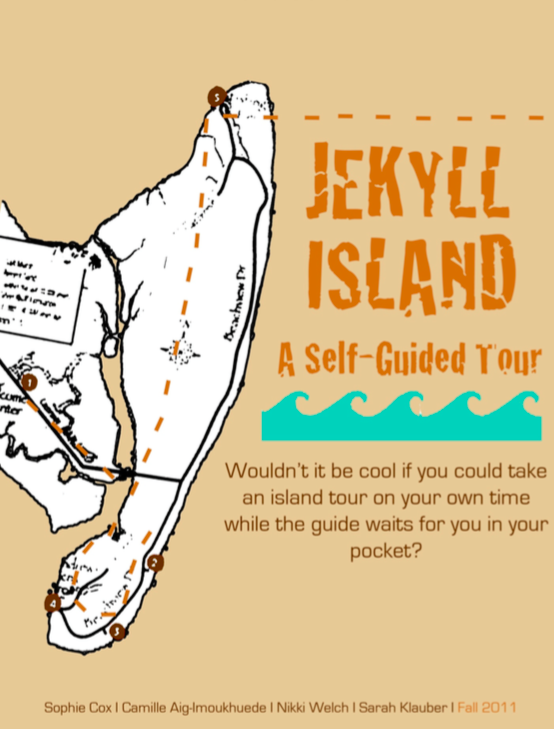 JekyllTour is a new interactive app that provides users with an enhanced vacation experience through guided tours and island information. A few years ago, the Georgia Sea Grant produced an audio walking tour that contained information about the ecological processes, animals, and plants of Jekyll Island in the form of a compact disc. Newer technology, such as mobile applications, provide a more individualized user experience and thus offer a better means to interact with our target user. Mobile applications also provide better-organized information better, allowing for the ultimate user experience. There is information about local restaurants, beaches, attractions, and shopping locations within JekyllTour. Now the user can tour, stop for lunch, and continue touring. The app can now take anywhere from a few hours to a few days. The options are endless and easy to use, so start exploring!